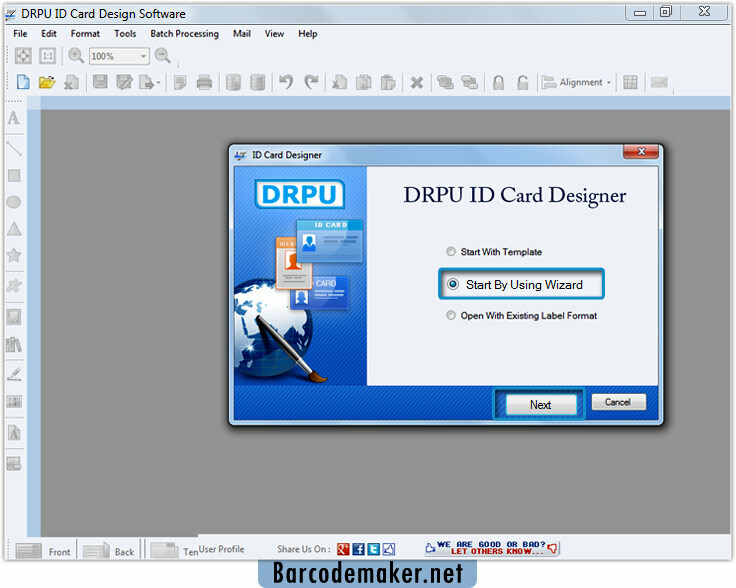 Enable “Start By Using Wizard” to design ID card using Wizard. 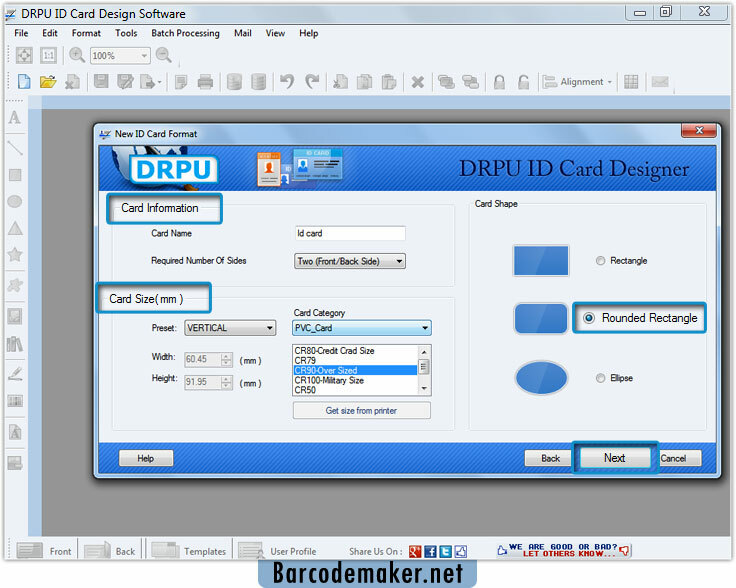 Enter Card Information and Select Card Size according to your need. 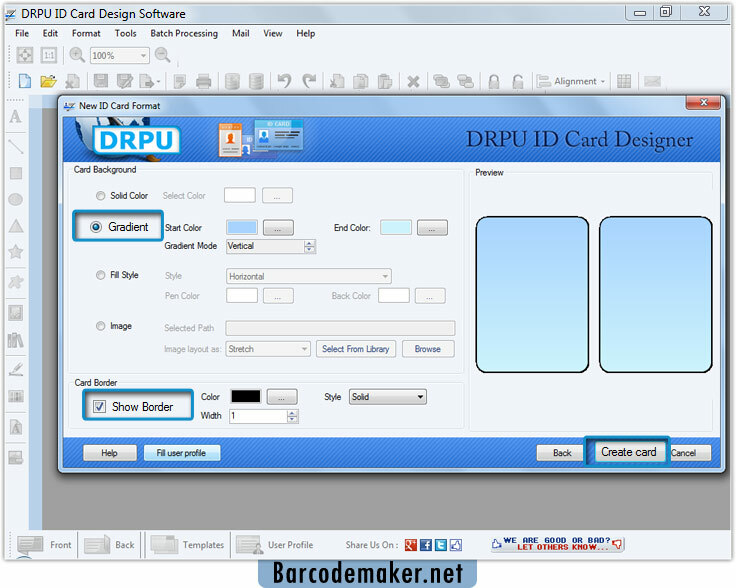 Select Card Background like Solid Color, Gradient, Fill Style and Image.